What happened to Christina from Germany sounds more like a movie plot than real life. The 36-year old cleaner will from now hire help instead of providing cleaning services, after winning £79 million on Lottoland. Christina hit the jackpot after submitting her bet on the phone and the winning numbers were selected by her mother. Although no one could be more thrilled about the outcome than the former cleaning lady turned a full-time millionaire, Lottoland also has a reason to celebrate. By paying up the hefty prize, they have actually set the new Guinness World Record. This is so far the highest online jackpot paid to a single person and Lottoland rightfully deserves their place in the Guinness hall of fame. 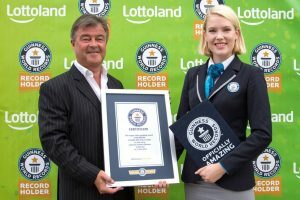 The event itself took place back in June and now, with the formalities out of the way, Lottoland has finally received their Guinness certificate. Sofia Greenacre, Adjudicator at Guinness, has officially confirmed the news, and Lottoland CEO, Nigel Birrell, expressed his delight at making Christine’s dreams come true. Indeed, they did! Wazdan Wins Online Casino Innovator Award! More great news is coming from Wazdan, or shall we say, Online Casino Innovator Award winner for 2018. 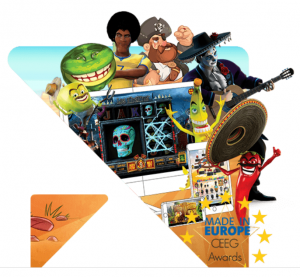 The 2018 Central & Eastern European Gaming Conference was held in Budapest and Wazdan was the star of the show. This is just the icing on the cake and a formal acknowledgment of all the hard work that the company has invested in their products so far. The competition was fierce, however, Wazdan managed to leave a number of industry’s giants behind, including NetEnt and BetConstruct. Wazdan Head of Sales, Andrzej Hyla, has dedicated the award to every single team member of the company. “This one’s for you!” he said, underlying that every achievement was a result of Wazdan employees dedication. The company has definitely been focused on their growth lately, partnering with top-notch developers and launching new games diligently. The award is clearly well deserved, and a great indicator that Wazdan is heading in the right direction. Only time will tell if Red Rake’s latest release will “set your soul on fire”. Judging by the first glance, the developer has definitely managed to capture the ostentatious spirit of Las Vegas. Now, all that’s left is to deliver on their promise and prove that “anything can happen in Viva Las Vegas”. How far exactly is Red Rake willing to go to justify their promotional tagline? Looking at the slot’s demo, Viva Las Vegas offers more than just classic Sin City glam. In addition to Free Spins, the players can also expect a couple of extra bonus features along the way. 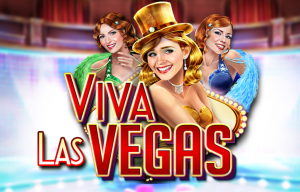 The Heart Meter will accumulate multipliers and bonus rounds and more freebies can be won during the extra spins, turning Viva Las Vegas icon into Wild. Red Rake Gaming has been on the market for 5 years now and their online casino games are available in multiple languages. They specialize in gaming software and bingo, and as of August 2018, their games are included in Casino Barcelona offer.